Cosmos has 13 heavily illustrated chapters, corresponding to the 13 episodes of the Cosmos television series. 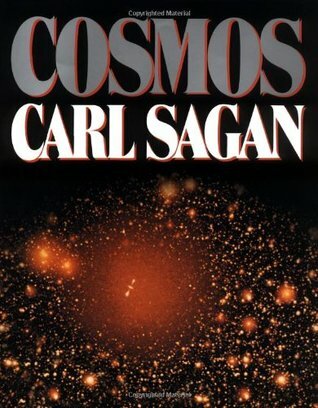 In the book, Sagan explores 15 billion years of cosmic evolution and the development of science and civilization. Cosmos traces the origins of knowledge and the scientific method, mixing science and philosophy, and speculates to the future of science. The book also discusses the underlying premises of science by providing biographical anecdotes about many prominent scientists throughout history, placing their contributions into the broader context of the development of modern science. The book covers a broad range of topics, comprising Sagan's reflections on anthropological, cosmological, biological, historical, and astronomical matters from antiquity to contemporary times. Sagan reiterates his position on extraterrestrial life—that the magnitude of the universe permits the existence of thousands of alien civilizations, but no credible evidence exists to demonstrate that such life has ever visited earth.